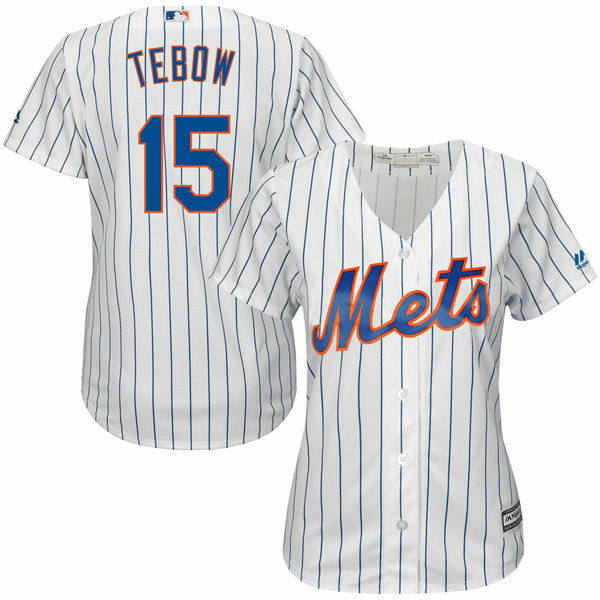 New York Mets jerseys featuring Tim Tebow's name and No. 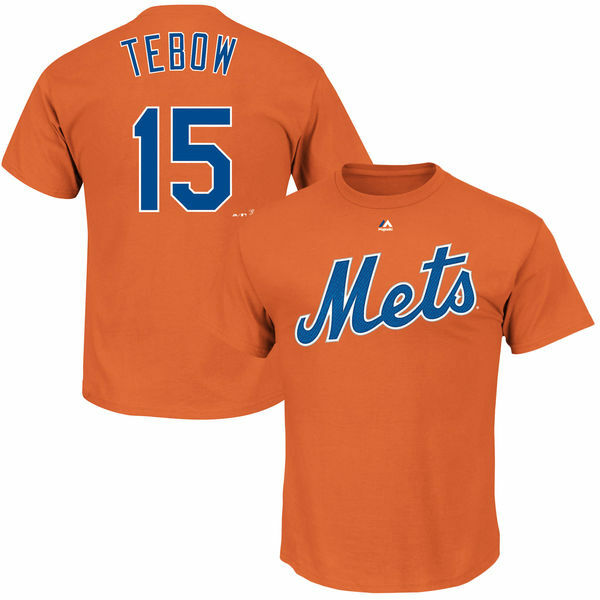 15 can now be purchased online at the MLB Shop and through the Mets' website. While it is no surprise that the Mets and Major League Baseball would try to capitalize on what's left of Tebowmania, they did have to find a loophole to make it happen. Typically, a player's name and number cannot be used on official MLB merchandise until they are part of the players association and players don't join the union until they are added to the 40-man roster. The 40-man roster is made up of players with a Major League contract and consists of players on a team's active roster, disabled list, and players in the minor leagues the team wants to protect from the minor league Rule 5 draft. A player must be added to the 40-man roster before they can be promoted to the big leagues. Tebow is not on the Mets' 40-man roster as he is on a minor league contract. To get around this detail, Tebow signed a separate agreement with MLB's official jersey supplier, Majestic Athletic, according to Darren Rovell of ESPN. This is similar to a move Barry Bonds made towards the end of his career when he became the first MLB player to opt out of the players associations' licensing agreement and instead decided to pursue his own licensing opportunities. While Bonds likely made more money, he was left off of official jerseys and things like video games where player likenesses are licensed through the union. After signing Tebow and giving him a $100,000 signing bonus, Mets general manager Sandy Alderson said the move was not about selling jerseys and making money. "I have to tell you, the notion that we're going to spend $100,000 on a bonus for a player so we can sell a couple hundred dollars' worth of T-shorts in [the minors], those economics don't work," Alderson said. "This was not about making money."